If you are in need of Restaurant Insurance in Baton Rouge then stick around. 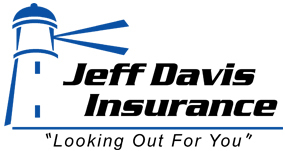 Jeff Davis Insurance offers free quotes from multiple providers for Louisiana Business Insurance. In previous installments of our series on restaurant insurance, Pete Ross, owner of Squeaky Pete’s Pork Emporium, learned that his restaurant insurance policy was being dropped due to his inordinately high frequency of insurance claims. Tracy, Pete’s reliable insurance agent, did her best to find new restaurant insurance options for her client. There is only one company left willing to insure Pete’s business despite its claims history, but their offer is significantly more expensive than what Pete had been paying up to that point. Pete then informs Tracy that he intends to buy the building he had been leasing for his restaurant and wonders whether owning the property will afford him a discount on his insurance. Tracy says she’ll get back to him soon. After putting together the adjusted quotes, Tracy calls Pete back two days later. “I do. I had someone do a replacement cost assessment on the building you intend to buy, to determine the total amount of money it would cost to completely replace the building were it to be destroyed, let’s say because of a tornado or a fire,” explains Tracy. “$1 million? But I only paid $150,000 for it!” Pete exclaims. “Okay, so what will my yearly rate be?” asks Pete. Not for the first time, Pete spews coffee in surprise. He spends the next twenty minutes on the phone with Tracy trying to figure out how he can get the price down. Will he find a way to lower his rate, and if so, will it actually save him money in the long run? 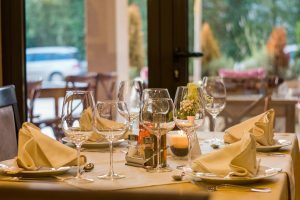 Baton Rouge Restaurant Insurance – Contact Us Today!